Phillip Paul grew up in a small farming town in the Texas Panhandle as number 4 of 6 children. He graduated from Spearman High School and attended West Texas State University prior to discovering his passion and enrolling in Parker College of Chiropractic. Dr. Paul completed his Doctorate of Chiropractic in August of 1994 and began his Chiropractic career on The Square in Rockwall a month later. Shortly after, he realized a need for his skills that existed in Royse City and relocated his practice to historic downtown in March 1995. Since then, Dr. Paul has remained to provide excellent patient care and build relationships with the community. Aside from his expertise in chiropractic care, with specialized training in extremity care, Dr. Paul continues to be an active member of the Royse City community in many ways. Approaching the 20th year, Royse City Senior Citizens are treated to a Thanksgiving Luncheon which serves on average 100 meals, founded and annually supported by Dr. Paul and the various contributors he canvases. This is only one example of how Dr. Paul spreads his joy for helping others find their own. The luncheon has always been held on the Friday before Thanksgiving at 11am, with Dr. Paul sharing his bright smile and caring ways with all those he meets. When unable to be of direct support, Dr. Paul has found alternative ways to give, such as being able to purchase and donate the first Automatic External Defibrillator (AED) to Royse City Police Department in the Spring of 2000. Within the first three months of service, three Royse City citizen’s lives were saved. In a deliberate effort to volunteer his expertise with young athletes, Dr. Paul is a member of the RCISD Athletic Sports Healthcare Team, where you will find Dr. Paul volunteering many Friday nights on the sidelines of both home and away football games supporting both body and spirit of team members. He has served on the Board of the Youth Sports Association. Dr. Paul is active in the Breakfast of Champions mentoring program with the RCHS Bulldogs Football Team . When other opportunities arose, such as the fundraising campaign for the Walker-Hawk Sports Facility, Dr. Paul was there to support. In addition to sports activities, Dr. Paul participates in raising funds for the Susan Komen Foundation. He has served his community through his involvement with many of the strategic planning committees for the Royse City Chamber of Commerce and more recently with Royse City Independent School District. Dr. Paul has received many awards for his community service. 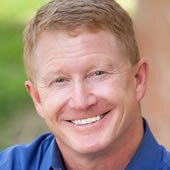 Dr. Paul is a Paul Harris Fellow Rotarian and member of the Royse City Early Bird Rotary Club. When Dr. Paul has down time, he loves to find peace on the water fishing, in the water scuba diving, keeping tabs on his 2 daughters and 2 grandchildren, enjoying the outdoors, cooking, and spending time with family and friends.